North and South Korea held a ceremony on Friday to open a joint liaison office near the border, the South's Unification Ministry said, in another development that is expected to facilitate dialogue between the divided Koreas. The four-story liaison office, located in the North Korean city of Kaesong, was borne out of an agreement at an inter-Korean summit in April and is designed to keep the two Koreas in constant contact while becoming a regular channel to improve relations. "With the opening of the liaison office, the South and North are now equipped with a system through which the two sides can communicate 365 days (a year)," around the clock, Unification Minister Cho Myoung Gyon said at the ceremony in Kaesong, according to South Korean media. Ri Son Gwon, head of the Committee for Peaceful Reunification of the Fatherland, a North Korean state agency in charge of handling inter-Korean affairs, said in his remarks that the two Koreas will now be able to accelerate improvement in ties and take a big step toward peace, co-prosperity and reunification, the media said. About 50 people from each side attended the ceremony, including South Korean lawmakers and business representatives. The establishment of the office comes less than a week before South Korean President Moon Jae In and North Korean leader Kim Jong Un will hold their third summit in Pyongyang, after having met at the border village of Panmunjeom in April and May. After the ceremony, South Korean Vice Unification Minister Chun Hae Sung and Jon Jong Su, a vice chairman of the Committee for Peaceful Reunification of the Fatherland, held their first meeting as co-heads of the office. Chun told reporters afterward that he and his counterpart shared ideas about cooperating in running the office successfully, and that he looks forward to more meetings, according to South Korean media. The co-heads of the office are supposed to meet every week. The office is located in a facility in the Kaesong industrial park used for a joint economic cooperation project between the two Koreas. The industrial park was shuttered in February 2016 amid worsening ties between the nations. About 20 officials from South Korean government agencies are slated to man the liaison office, with North Korea assigning staff of an equivalent size. The office will also be used as a venue for inter-Korean consultations. Electricity to power the facility will be supplied by the South. In a declaration signed by Moon and Kim at their first summit on April 27, they agreed to set up a joint liaison office in Kaesong with resident representatives for close consultation between the two countries. South Korea had planned to open the office by the end of August. The delay led to speculation that the United States was concerned that goods supplied to operate the office might violate economic sanctions on North Korea. 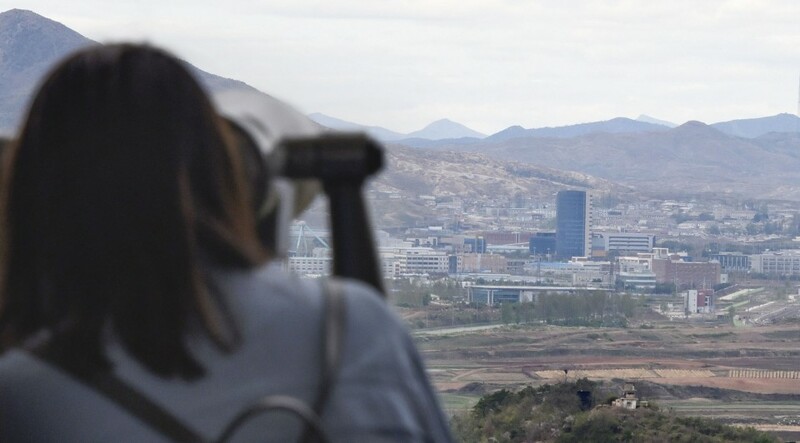 Also on Friday, officials from North and South Korea held talks at Panmunjeom in the Demilitarized Zone dividing the peninsula to prepare for the three-day Moon-Kim summit from Tuesday next week, according to the ministry. At the talks, it was agreed that Moon, accompanied by a 200-member official delegation, will fly directly to Pyongyang, while an advance team from the South will arrive there on Sunday via a land route, according to the South's presidential office. The two Koreas also agreed to broadcast live the two leaders' meeting as well as main events of the three-day summit, the presidential office added.